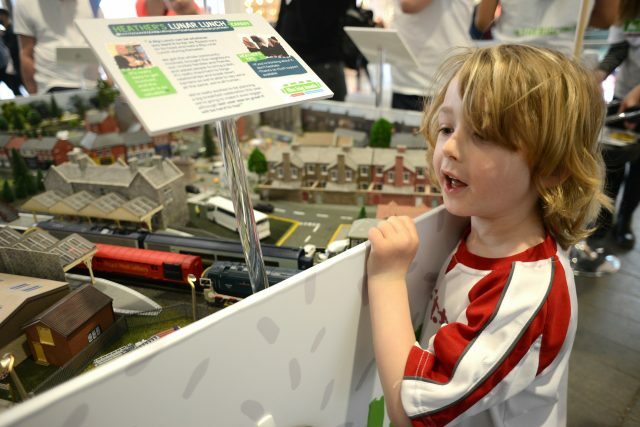 23red, Eden Project and The National Lottery Community Fund have launched the first in a series of pop-up events aimed at generating awareness and participation in The Big Lunch. On the first weekend in June each year, more that 6 million people take part in The Big Lunch, an initiative that brings people together to share friendship, food and fun, so that neighbors can get to know one another and communities can thrive. An idea from the Eden Project made possible by the National Lottery, The Big Lunch started in 2009. This year marks a step change in efforts to bring people closer together prompted by new research ‘Closing the Distance’ that shows how connections in the community layer are being lost. 23red was appointed by the Eden Project and The National Lottery Community Fund in January 2019 to conceptualize and deliver an experiential roadshow of pop-up events. Starting with this weekend’s event in London, five more pop-ups are scheduled to take place between now and May 4 in Cardiff, Glasgow, Liverpool, Belfast and Nottingham. They aim to raise awareness of what The Big Lunch is, and what they can look like, encouraging more people to host their own locally on June 1 and 2. 23red developed the concept of creating a miniature village, The Little Land of Big Lunches, which represents a diverse range of Big Lunches based on six real case studies. 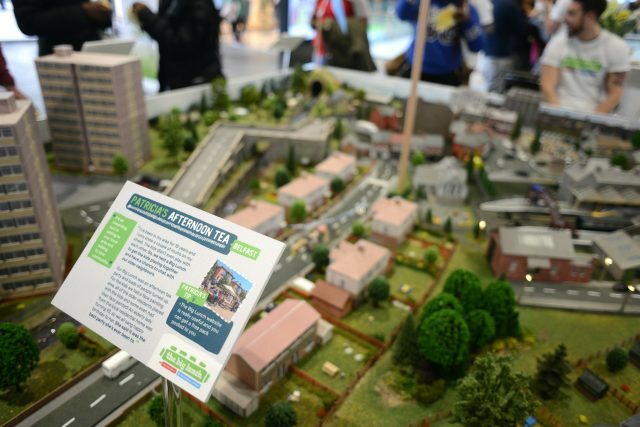 To bring the land to life, the model villages include audio recordings of the case studies so that people can be inspired by their experiences and the lasting effects each of their Big Lunches had on them and their wider communities. 23red worked closely with event producers, Create. The events are fully branded and a mixture of staff and volunteers are on hand with inspiring ideas and encouraging people to sign up to receive a free organiser’s pack that will set them on their way to holding their own Big Lunch. 23red were asked to provide strategic advice and expert support to develop a concept, determine the strategic approach and deliver an experiential roadshow ‘pop-up’ activity to drive awareness and participation in The Big Lunch. The Little Land of Big Lunches roadshow is designed to educate and support people who are interested in bringing their community together and giving them the confidence to do so. Ultimately, anyone can take part and we want to encourage as many people as possible to join this important and hugely rewarding cause. Thanks to National Lottery players we are able to support The Big Lunch in its drive to bring people and communities together. What we know is that when this happens, connections are made and great things happen. These pop-ups are a fantastic way of bringing this to life so that people can see the transformative effects for themselves. 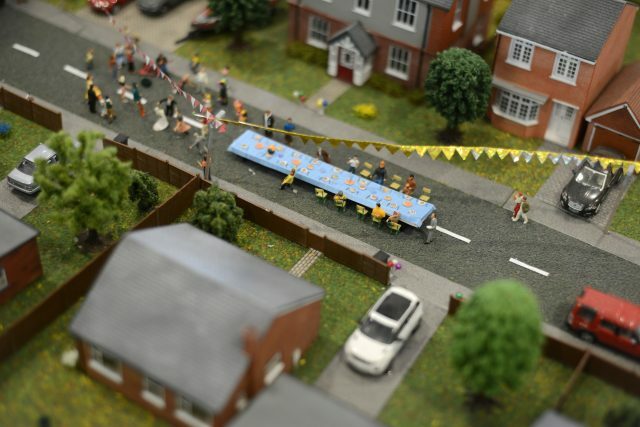 The Little Land of Big Lunches is a lovely way to show in miniature how people everywhere can take the idea of The Big Lunch and make it happen where they live. These enchanting depictions represent a handful of real Big Lunches, a tiny sample of the 68,500 Big Lunches that took place last year when over 6 million people took part. We hope the pop-up activity conceived by 23red will help us spread joy even further, inspiring more Big Lunches on 1 & 2 June 2019. The Big Lunch is an idea from the Eden Project, an educational charity and social enterprise based in Cornwall that aims to connect people with one another and the natural world to explore a better future.